Congratulations, babe - you’re engaged! I know there are so many exciting, nerve-wrecking thoughts going through your mind right about now - What kind of dress do I want? Where do we want to get married? Guest list? Who should we invite? Who am I going to ask to be my bridesmaid? Oh gosh, how am I going to choose my MOH? Marriage License? Where do we get that? Booking everyone…there is SO much to do. Oh gosh, Aunt Mary is ALREADY asking me way too many questions that I have no idea how to answer. How much is this even going to cost us?! Stop right there, girly. We got you. 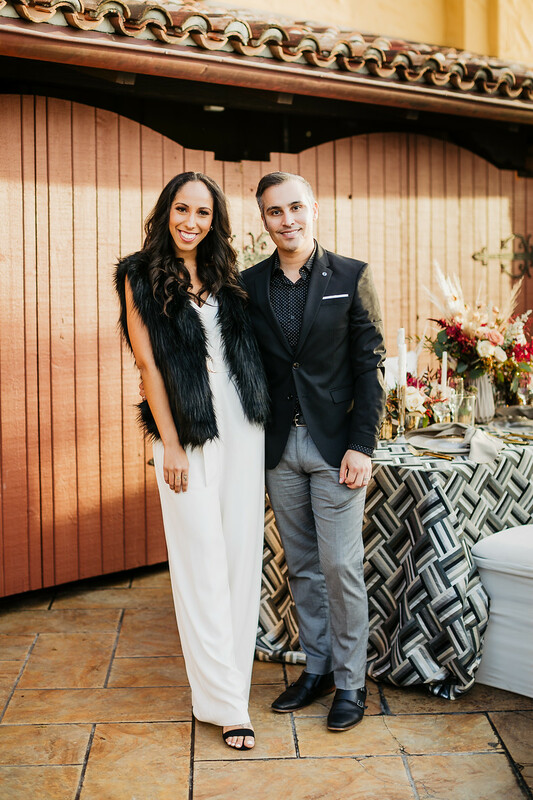 Leilani Weddings has become the go-to company for “the stylish bride celebrating universal love.” The #leilanibride is down-to-earth, a big fan of the details, and are oftentimes marrying interracially, which we think is pretty. freaking. cool. Nobody can ever figure out what ethnicity I am (spoiler alert: I’m German, Belgian, West African, French + Dutch!) and I love that “global citizen feel”. The fact that our clients are oftentimes second generation or marrying someone outside of their race makes me feel that we are THE planning company for the modern bride who’s a little against the grain. Overall, our brides ALWAYS have a passion for style, are looking for a fun, stress-free and organized planning experience. I always enjoy hearing that brides that I consult with are meeting with a few other wedding planners before making a decision, because it is truly all about a personality match. Your wedding planner is your confidant, your friend, your voice of reason, your fearless leader, your financial advisor, an extension of your wedding party, your fairy godmother, and your “zilla-proofer” wrapped into one - it’s a big job! 1. Can you see him/her as someone you could grab a drink at happy hour with? Truth be told - you are going to spend a lot of time chatting, maybe even meeting, with your planner throughout your planning process. That’s anywhere from 6-18 months of your life. You want to like the person. I have heard too many times to count that someone fires their wedding planner because “they didn’t even really like them in the first place” - that is so crazy to me! Personality is everything in this industry - no matter a person’s reputation or body of work, if they are unpleasant to be around, that energy is going to poison the entire wedding planning experience for you, and quite possibly the team morale on the day of. Pick someone that you respect, but could also have an after-work cocktail with. We are firm believers in working hard and playing hard! We are a sucker for a glass (or two!) or rose or champagne at every industry event we attend. Fun fact: Eric Acuna and I are Co-Directors of ABC-Orange County this year! We lead the biggest networking group in Orange County, host mixers every single month, and host ABC-OC TV, our organization’s youtube channel that I created last year. 2. Does this person seem well-rounded + knowledgeable? I always brag about the #leilanisquad to potential clients because I love that everyone comes from a different background. 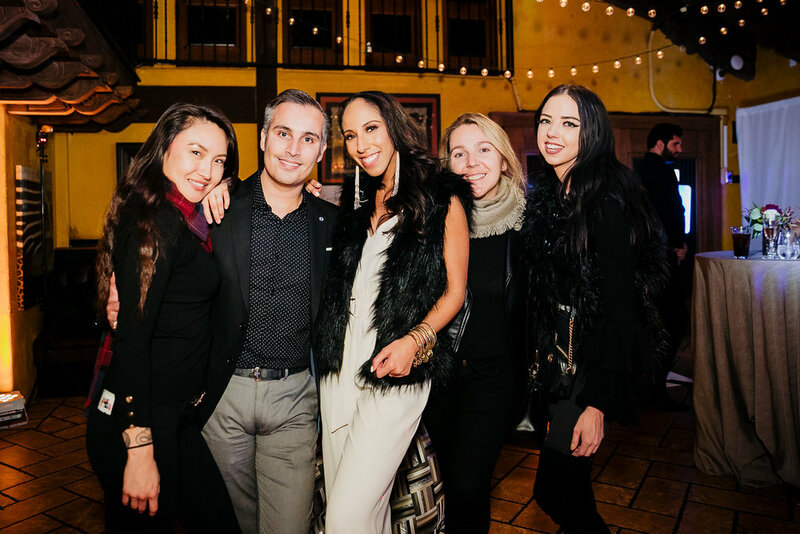 From the fashion industry, to marketing, to property management, the corporate world and beyond, our squad is made up of a group of hardworking + dynamic people, and the skills they’ve learned in the fields they’ve worked in the past lend themselves so well for what they do here at Leilani. You want to pick someone who’s “on the pulse” of what’s new and trending in the industry, not just by keeping up with online blogs and magazines, but meeting new creative partners + attending industry functions like networking events, grand openings, and more. Your planner should be well-versed in other areas besides planning, such as logistics + design - this truly sets apart a professional from a novice, in my opinion. 3. Does this person have a great sense of style? Would you want to raid your planner’s closet or go shopping with them? Do you like their personal style? The way they designed their office? Keep all of this in mind when deciding who to hire as your wedding planner. You’re going to want someone with the same taste level as you when you’re designing the big day, to offer stylish + Innovative ideas, to make design calls on wedding day if needed, style your personal details to perfection, steer you away from the dont’s and detail out a beautiful day for you and your fiancee, all the way up until the I do’s. 4. If it’s a larger agency, does each team member have mentions on Yelp and/or a social media following? Typically when meeting with a company who has several planners working for the brand, you’ll meet with the owner and they will match you with the planner who they think will fit the best. I stress to clients that everyone on my team is a “direct extension of me - they were trained by me in the Leilani Style, we all use the same branded templates and structures, and structure our planning processes and day-of in a branded way so things stay consistent”. If meeting with the person who will actually be your planner is not an option, take a peek at Yelp and Instagram. Are there mentions from other clients about this particular planner? Are they active on social media? Can you see what work they have done specifically? If all of this measures up, it’s safe to say that the company is probably a reputable one, and the brand image is company-wide. 5. Are the brand’s ideals in line with the kind of wedding and wedding planning experience that you’re looking for? Here at Leilani Weddings, we are all about a smooth, seamless, and stress-free planning process. We are all about the Rose + the Namaste. Our clients trust us wholeheartedly to take the reigns and steer the ship - they don’t ask many questions along the way because they know that we have it handled! Are you a bride that wants to enjoy your engagement and hand it all over to a professional to do the heavy-lifting? Or are you the bride who wants to schedule in-person meetings with three companies in each category before making. a decision. There is no right or wrong way of doing things, but depending on the type of planning experience you are envisioning, choosing the right planning company is of importance here. Take a peek at the types of clients your planner has worked with before. For example, if you’re edgier bride that’s envisioning wild flowers, food trucks and a tarot card reader but you’re meeting with a planner who primarily does classic weddings in ballrooms, you may want to reconsider to ensure you are in alignment with one another. At the end of the day, we chose wedding planning as a career because we love helping people, we love love and we love making sh** happen! Wedding planners come from all walks of life, it’s just a matter of choosing the one who you feel is going to make it happen the way you envision, and who you can have fun with along the way. I need to hire a planner who has worked at my venue before. I love you, but eye roll emoji. Any professional wedding planner can assess a space in the first 15 minutes of doing a walk-through. I have personally planned several out of state and out of country weddings completely sight unseen, did a walk-through 24 hours before the wedding, and was good to go. I planned things out based on measurements of the space, asking the right questions and communicating with my venue contact very closely. Any great wedding planner, in my opinion, is resourceful, can think quick on his/her feet and can make it work in any given situation. I don’t need to hire a full service planner, I can do this mostly on my own. This MIGHT be true, but really think about your work schedule and how much time you have to commit (and want to commit!) to planning a wedding. We average about 200 hours on each wedding we plan, so if you already work a full-time job, you may find your time is limited and hiring someone who can do the legwork for you will be such a sigh of relief. I’m having a small wedding. I don’t need my planner to bring more than one assistant on the day-of. Weddings, no matter how big or small, are productions. There are a lot of moving parts, a lot of people involved, a lot of room for error because things are moving so fast - you absolutely need a team (or a squad, as we so fondly call the team you’ll have for your wedding day!) to ensure we can be multiple places at once. I have to hire a wedding planner who is certified or went to school for wedding planning. I am a big fan of education (I have a Bachelor of Arts in Journalism + Anthropology) but the wedding industry is a VERY hands-on field. I learned more in one month working full-time for a planning company + shadowing a wedding planner than I probably would have learned from an overpriced certificate program in six months. My skills in writing, PR, fashion, sales + customer service, in my opinion, benefit me so much more than if I were to have spent months or years in a certificate program learning Wedding Planning 101. My venue doesn’t require a planner, so I don’t think I need one. No girl, no. PLEASE trust us on this one. Hiring a wedding planner (or a coordination team for mangement at the very least) will be your saving grace 100%. Think of us as wedding insurance in human form. All photos pictured are from our ABC-OC Kickoff Meeting at Mozambique in Laguna Beach earlier this month. PC Sarah Mack Photography. To view our wedding + event work, visit www.leilaniweddings.com.